Save valuable desk space by mounting two monitors to a single mount. With Innovative 7000-Switch, both monitors will float above your desktop, allowing you to quickly and easily adjust monitor height and position. Monitors can be positioned either side-by-side or one above the other. 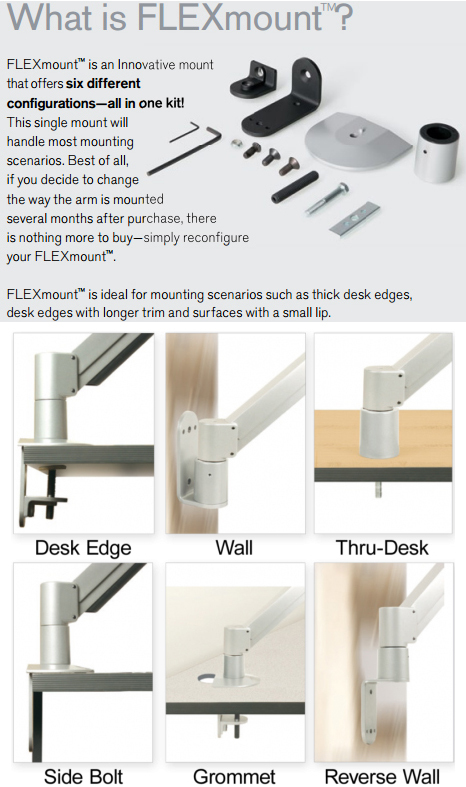 Our adjustable wing bracket allows you to adjust monitors, and also allows rotation. The 7000-Switch incorporates cable management, keeping your work space clean and organized. A member of the best-selling 7000 monitor arm family, this dual monitor arm suspends two monitors above desk. Easily adjust both monitors with one hand for ergonomic comfort.